If you have recently been in a car wreck, you’re probably just relieved to be alive. However, conditions like whiplash won’t be immediately apparent, and you will want to check with a chiropractor to be safe. Here are the top 4 signs you may be experiencing whiplash. The longer you wait to treat your whiplash, the more vicious it will become. If you experience any of these signs, contact your chiropractor immediately. When you experience pain, it’s your body telling you that something needs your attention. With whiplash, this is especially true. In fact, some of the most common symptoms of whiplash are neck and shoulder pain, each of which can be treated by a chiropractor. Along with neck pain, stiffness is another sign of whiplash, particularly when any movement causes pain. Chiropractic can use spinal realignment and massaging to increase flexibility in the neck, as well as other areas. Because of the effect on the head, confusion and insomnia can also arise from whiplash. These are usually accompanied by dizziness and nausea. Chiropractic can ensure that the body’s natural blood flow is stimulated, which helps with these symptoms. 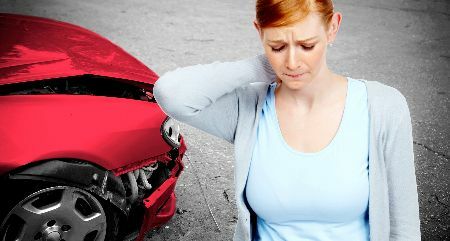 Headaches are a common occurrence after auto injuries and a clear sign of whiplash. Usually, the headaches are migraines or muscle-tension headaches. With chiropractic, this tension in the head can be relieved through spinal adjustments and joint manipulation. After an auto accident, you should visit a chiropractor quickly, in order to ensure that your whiplash doesn’t get worse. Chiropractic can give you immediate relief and strengthen your body to provide long-lasting injury prevention. Have you recently been in an auto accident? Make an appointment at Duluth Chiropractic & Wellness Center. We’ll do everything we can to ease your whiplash symptoms and ensure long-lasting relief.